There are so many fabulous activities to choose from. 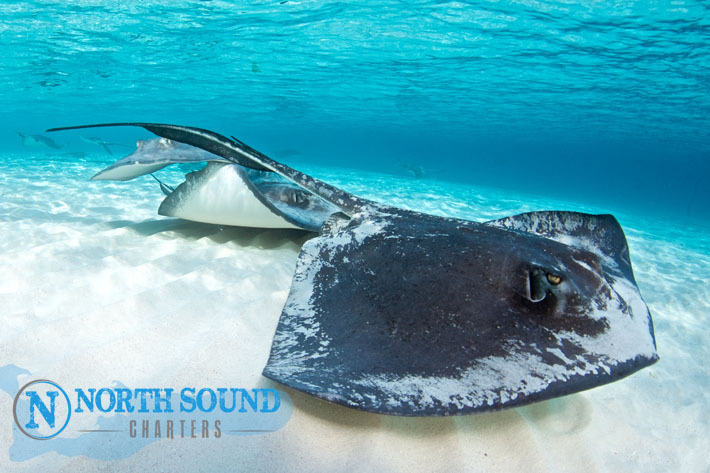 Stingray City is one of Cayman’s most famous tourist destinations. This unique experience offers you the opportunity to get up close and personal with Southern Stingrays and if you’re lucky, you might even get a kiss. The sandbar is a shallow water site where you can stand to interact with the rays. Stingray City Deep – The original! This site is a few miles down the reef to the west of Stingray Sandbar. The water here is approximately 10’ (3 metres) deep, this is where you can snorkel with the rays. Sea conditions may rule this one out, but if you’ve been to see the rays at the sandbar and want something different (and quieter! ), far fewer boats come here, so this could be the stop for you. There are several beautiful snorkeling sites in and around the North Sound. Coral Gardens is located close to the Stingray City Sandbar, so combining the two if you are on a 3 hour trip is ideal. The fringing reef surrounding the sound is full of coral and abundant fish life. You can stop at as many or as few sites as you like, depending on time. Surrounding the North Sound are lush mangroves, teaming with life and providing a nursery for many juvenile fish and sea creatures. 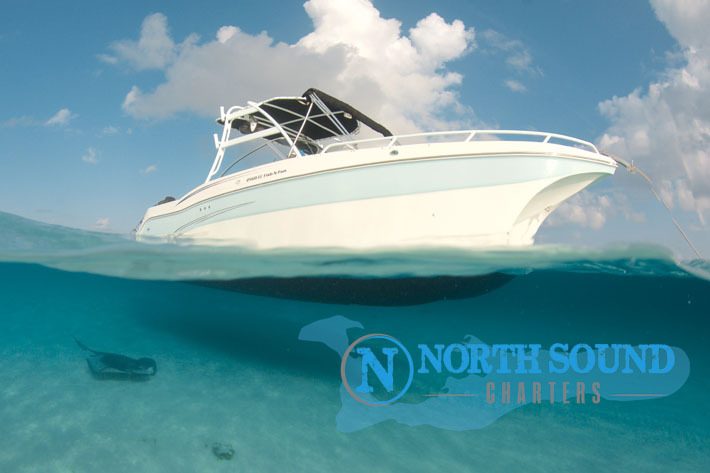 The North Sound Charters team is eco-friendly and can provide an insightful and fun guide of these important eco systems. Ask us about the bioluminescence tour too, for those looking for some magical nighttime adventure. Although the North Sound does not have uninterrupted views of the sunset to the west, the views and ambience you get from this side of the island are equally as stunning. The calm, lapping waters of the shallow sound, combined with the pink sunset skies make this a popular option. Combine the sail with supper and you have the perfect evening. Alternatively, you could cross the sound to anchor up, enjoy a glass of something suitably tropical and watch the sun set. This local gem is another natural sandbar that is the home to a number of starfish. The site provides a perfect spot to moor, swim, investigate these wonderful sea creatures and enjoy your refreshments. Kids love this stop! Please let us know if you have any preferences and we can guide your menu selection.